When will be Ant & Dec's Saturday Night Takeaway next episode air date? Is Ant & Dec's Saturday Night Takeaway renewed or cancelled? Where to countdown Ant & Dec's Saturday Night Takeaway air dates? 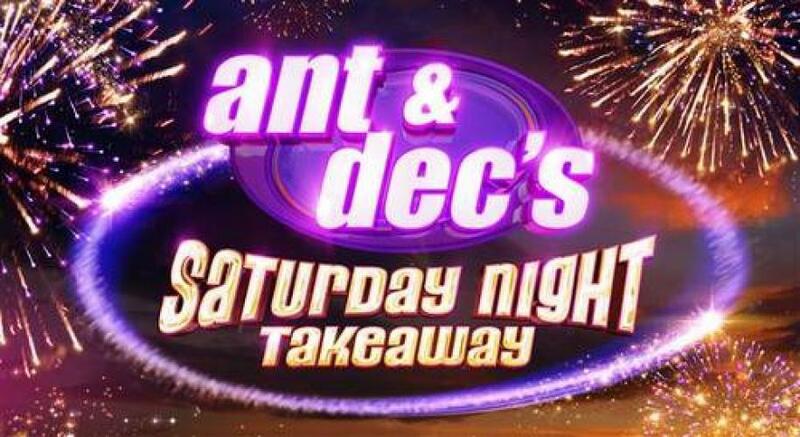 Is Ant & Dec's Saturday Night Takeaway worth watching? Ant & Dec's Saturday Night Takeaway, often referred to simply as Saturday Night Takeaway or SNT, is a British television variety show presented and executively produced by Ant & Dec. The show was first broadcast on 8 June 2002 on ITV. The entertainment variety show continues, with James Corden taking time out from his busy schedule across the Atlantic to join the Geordie duo as this week's star guest announcer. Plus, there is more spoof mystery as Ant and Dec once again put their OBEs to use as part of a task force of celebrity secret agents with honours. Stephen Mulhern is in Reading for the latest edition of In for a Penny, and in celebration of Andrew Lloyd Webber's upcoming 70th birthday, the End of the Show Show features some of his best-loved numbers in the studio. Ant and Dec are back for another action-packed show. Expect super-sized audience surprises, incredible stunts and celebrity guests. George Ezra will be opening the show with a very special performance of his new hit, as well as joining Ant and Dec on stage for a spectacular ‘End of The Show Show'. Ashley and Jordan Banjo from dance troupe Diversity are pushed to their limits in the hilarious return of ‘Get Out Of My Ear!' and the plot thickens in the latest instalment of ‘Saturday Knight Takeaway' as Ant and Dec discover that Honoured HQ is being compromised by a mole. Stephen Mulhern and Scarlett Moffatt will be joining in the fun, and another lucky player gets the chance to 'Win The Ads' in the only show on TV that says "don't just watch the adverts - win ‘em!" Saturday Night Takeaway is back with the Happiest 90 Minutes of the Week! Stephen Merchant takes over duties as the Star Guest Announcer and Paloma Faith will be taking to the stage in the End of the Show Show. Stephen Mulhern hits the streets of Warrington in another hilarious 'In For A Penny' game and The Script will be in the studio for 'Singalong Live'! There will also be plenty of surprises as more Places on the Plane are given away and another lucky player gets the chance to Win The Ads. Saturday Night Takeaway is live from Universal Orlando Resort in Florida for a spectacular end of the series finale. One nation will be crowned in the final of 'Sofawatch', the Rembrandts will be performing a karaoke classic in 'Singalong Live', Stephen Mulhern takes his pop-up game show 'In For a Penny' stateside for a very special edition, the identity of The Overlord is finally revealed in 'Saturday Knight Takeaway', and one last lucky player gets the chance to Win the Ads this series. Ant & Dec's Saturday Night Takeaway next episode air date provides TVMaze for you. EpisoDate.com is your TV show guide to Countdown Ant & Dec's Saturday Night Takeaway Episode Air Dates and to stay in touch with Ant & Dec's Saturday Night Takeaway next episode Air Date and your others favorite TV Shows. Add the shows you like to a "Watchlist" and let the site take it from there.